Still image from "Blonde redhead meets Gainsbourg" - Simone Pace, drummer, Blonde redhead. 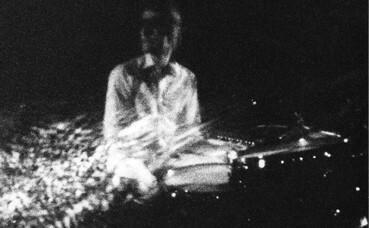 For the American rock trio Blonde Redhead, filmmaker and photographer Jérôme Schlomoff used a pinhole camera to make a music video of their song "Spring & by Summer Fall." The video combines outdoor shots with concert footage recorded during the "Blond Redhead meets Gainsbourg" tour in Paris in October 2008. The song appears to be about someone searching for his own life who only manages to see fragments of it in the expressions of passersby. The feelings of desolation and longing are clearly visible in the images. Unrecognizable and at a distance, the musicians play in an enormous emptiness that is only occupied by the music. Outside, the camera travels over a railroad track, looking for someone or something. The effect of the pinhole camera is that all images from the past appear to be snatched away, and as a result are endowed with something tragic. 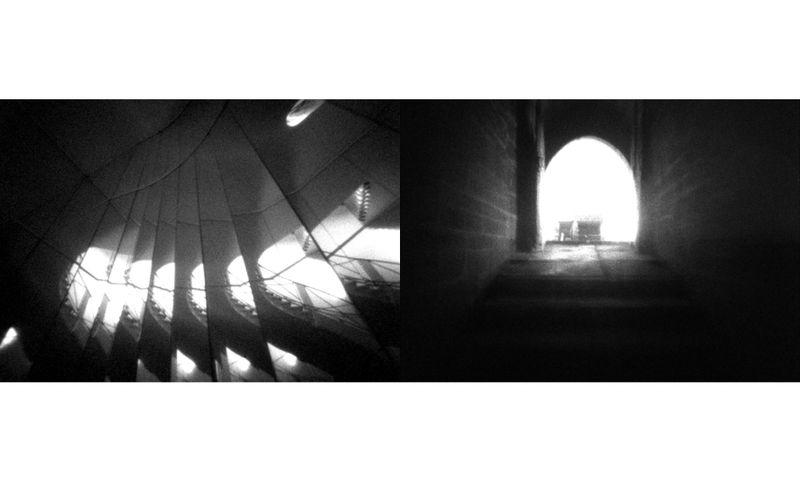 Jérôme Schlomoff started using a pinhole camera he built himself as the medium for his 35mm films back in 2000. This camera with no lens works by allowing light into an otherwise lightproof box through a miniscule hole, which records the images on film. Schlomoff's film Amsterdam Reconstruction was selected for Paradocs in 2007.